Amyloidosis disease natural treatment with antioxidants, vitamins, herbal remedies and dietary supplements by Ray Sahelian, M.D. January 5 2015The very first topic discussed at my very first class in Pathology at Thomas Jefferson Medical School was on the topic of amyloidosis. After the class was over, I asked the teacher why we were discussing this topic first, when so many other medical conditions, such as heart disease or cancer, were much more prevalent. His answer: he was a researcher in on the topic of amyloidosis and that's what he knew best. There are a number of natural therapies that could help prevent or reduce the progression of this condition. It is possible that supplementation with certain antioxidant pills could reduce the progression of this condition. Several antioxidants that may be helpful include Alpha Lipoic Acid, carnosine, acetyl l-carnitine, acetyl cysteine, and vitamins C and E.
Q. Do you think lipoic acid would be helpful in preventing amyloidosis? A. It's an interesting question, but I don't know. Antioxidants, in general, could be helpful. My father has primary amyloidosis and it has affected both his liver as well as the digestive system. Have you known of tumeric and curcumin to improve liver function. I respect the work that you do. Have a nice day. I have not seen such specific studies, but curcumin and turmeric should be considered as having potential benefit to the gastrointestinal system as anti-inflammatory substances. Neurobiol Aging. 2014. Reduction of β-amyloid and γ-secretase by calorie restriction in female Tg2576 mice. Research indicates that female risk of developing Alzheimer's disease is greater than that of males. Moderate reduction of calorie intake, known as calorie restriction, reduces pathology in AD mouse models and is a potentially translatable prevention measure for individuals at-risk for AD. Drink more fresh vegetable and fruit juices, particularly vegetable juices since they have less fructose. These juices have tons of beneficial antioxidants. Exposure to sunlight in the morning and sleep pattern restoration are helpful. One study shows exposure to sunlight in the morning followed by melatonin supplement use at night helps restore healthy sleeping patterns. Therapy with B vitamins, such as B6, folic acid, and B12 (methylcobalamin) that lower homocysteine levels. High intake of niacin, particularly from food sources, may reduce the risk of age-related cognitive decline. Seniors with high levels of vitamin B12 in their blood have a lower risk of developing the disease. Curr Alzheimer Res. 2014 Dec 18. Associations between Alzheimer's Disease and Blood Homocysteine, Vitamin B12, and Folate: A Case-Control Study. Vitamin E antioxidant could be helpful in reducing the severity of Alzheimer's disease. At this point I would not recommend more than 100 units per day when taken for decades. If you plan to take Vitamin-E, use a form that has all the tocopherols and tocotrienols, not dl-tocopherol. Alzheimer's patients given a "pharmacological" dose of vitamin E experienced slower declines in thinking and memory and required less caregiver time than those taking a placebo, according Dr. Maurice Dysken, lead author of a new study published Dec. 31, 2013 in the Journal of the American Medical Association. Another very important antioxidant is alpha lipoic acid, at a dose of 10 to 20 mg a few times a week. Many herbs have antioxidant potential including curcumin, acai, goji, mangosteen, etc. Acetyl L-carnitine protects against amyloid-beta neurotoxicity and may be helpful in combination with medicines. The acetylcarnitine dose should not be more than 100 to 300 mg a day a few times a week. Providing acetylcholine precursors, such as choline. Maximum dose 100 to 500 mg a few times a week. Use of ginkgo biloba should certainly be considered but research studies have provided mixed results regarding the benefits of this herbal extract. Use of curcumin, the yellow compound found in turmeric. Curcumin supplements are now available. Curcumin is lately getting more attention and appears to be a good preventive spice. Blocking the breakdown of acetylcholine with pharmaceutical drugs or natural supplements such as huperzine. Clinical efficacy and safety of huperzine Alpha in treatment of mild to moderate Alzheimer disease, a placebo-controlled, double-blind, randomized trial. To evaluate the clinical efficacy and safety of huperzine Alpha in treatment of patients with mild to moderate Alzheimer disease Two hundred and two patients with the diagnosis of possible or probable Alzheimer's disease from 15 centers the nationwide were randomly divided into two groups: huperzine Alpha group (given 400 micro g/day for 12 weeks) and placebo group. In comparison with the baseline data, there was an improvement of 4.6 points in cognition; an improvement in behavior and mood with 59% of the Alzheimer disease patients being on the mend clinically. A safe and effective medicine, huperzine Alpha remarkably improves the cognition, behavior, ADL, and mood of Alzheimer disease patients. Zhonghua Yi Xue Za Zhi. 2002. People who eat an average of 180 mg or more a day of DHA, a fatty acid found in fish oils, have a lower incidence of Alzheimer's disease and other types of dementia, compared with people who consume less DHA, according to epidemiologic data collected in the Framingham Heart Study. In a study, reported in The Journal of Neuroscience, mice that ate DHA-enriched chow showed less beta-amyloid build-up in the brain than mice fed regular chow. Consuming more omega-3 fatty acids -- found in many types of fish -- may benefit people at risk for Alzheimer's disease; University of Illinois, news release, May 19, 2015. Hormone therapies with testosterone and DHEA -- maybe. Caution is advised. 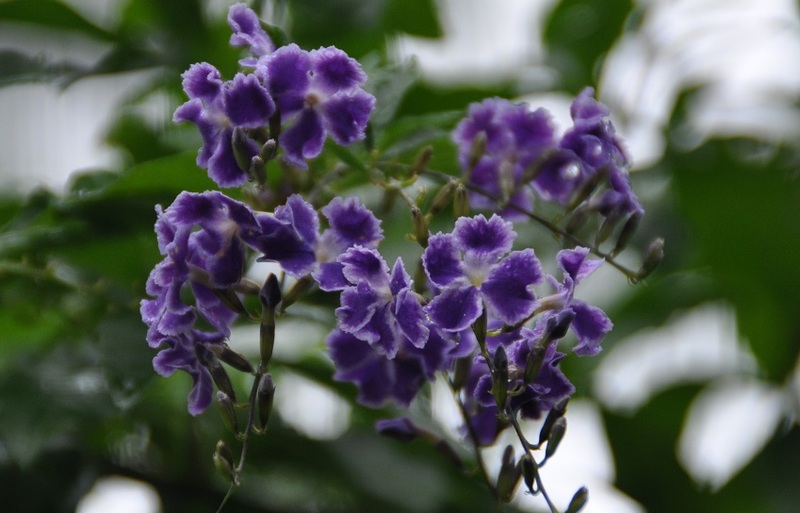 Muira puama, a Brazilian plant used for sexual enhancement, may have acetylcholinesterase inhibiting activity. Scyllo-Inositol has been studied in recent years. It is nearly impossible to know which of the above nutrients or herbs, or combinations thereof are helpful as a treatment, prevention, or alternative Alzheimer's disease medication. It may be a trial and error process until the right combination or dosage is found. It is also very difficult to predict how these supplements interact with Alzheimer's medication prescription drugs. One has to be cautious with some of these supplements, particularly galantamine and huperzine since they can be quite potent. Also, when taking multiple supplements, make sure to reduce the dose of each one since they add on to each other and one could have insomnia or feel overstimulated.